Podcasts are taking the world by storm. It is hard to believe that when audio-over-internet technology was revealed at NAB, 1995, that it would grow so fast and become so profitable to such a wide range of people. Today, many audio podcasts are making more money than entire radio stations did in the past. Because people on the go have more “ear time” than “eye time,” audio podcasts — coupled with headphones and mobile phone technology — have become the ultimate communications tool for niche markets. Some podcasts require little equipment and can be done from anywhere. The hard part is having a great idea and executing it well. When the idea is planned and perfected, the choice of equipment follows to serve the programming. 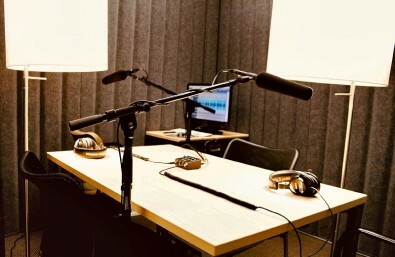 One issue that often arises with podcasts — after choosing the gear and polishing the key ideas — is how to make the overall program sound good. It’s a bit like owning a great camera but your photos are still not as good as you hoped for. What are you doing wrong? This is where skill and professionalism comes into play. Sure, making a podcast should be fun, but — like all creative pursuits — there is a skill level that is required to make it really shine. Just having an idea is not enough and buying the right gear is not enough either. Along with the tools, the podcast producer must have the skills to pull it off. Anything less will make the podcast less than it can be. Here are some basic tips that when followed will improve the sound of any podcast. Each requires the person producing the program to listen and be able to distinguish good from bad audio. The most important tip is to find a good space to record the podcast. Since most podcasts don’t have the benefit of a professionally designed studio, it is up to you to find the right space. 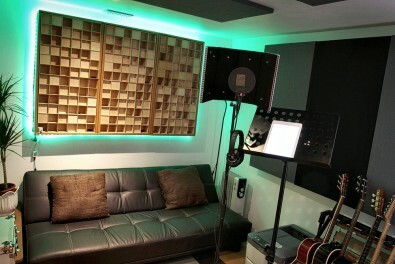 It is not just the voices being recorded, but the entire room and its surfaces. Interestingly, on a recent visit back to Big Pink, the house near Woodstock, New York, where Bob Dylan and the Band recorded some classic songs about 50 years ago, Garth Hudson, the band member who ran the recording gear, pointed out some acoustic characteristics of the basement. The concrete block walls, he said, were very porous and absorbed the sound. The untreated exposed wooden ceiling broke up standing waves and a rug placed on the concrete floor softened the sound considerably. That basement, he recalled, sounded the best of all the places the group recorded in those days. Hudson’s knowledge of acoustics overcame the crude looking space and resulted in some classic recordings. Don’t record just anywhere. Consider the materials used in the space. A stairwell, bathroom or empty room will probably sound bad. Even non-experts in acoustics should seek a comfortable room where the human speaking voice sounds good. Avoid highly reflective spaces — like churches or empty rooms — where the voices bounce around. Look for places with sound damping material. This doesn’t have to be acoustic treatment, but pillows, hanging clothes, carpets, paintings or furniture with cushions also work fine. If the location is temporary, pile up some pillows and clothes near the microphones and experiment. If the spot is a permanent location, experiment with the acoustics of the room’s sound in advance. Then listen to the audio and make sure it sounds good on speakers and headphones. If the space is hopeless, perhaps you’ll need acoustical treatment or one or more sE Electronics Reflexion filters. These filters can make a world of difference. Once the recording location is found, make sure each participant has a good pair of headphones for use during the recording. This is especially critical when doing an interview over Skype. Wearing headphones while recording improves the clarity of the podcast and interviews. It also reduces the chance of feedback. Once in the space, make sure all the levels are properly set and maintained — usually in the 70 to 90 percent range. Remember to give yourself headroom because over-modulated digital audio is a disaster area. Set the level lower if someone is not always monitoring sound. These very basic considerations can make the difference in whether a podcast sounds great or only adequate. Pay attention to details and you will be rewarded with higher quality sound.